Just when it looked like the near-term outlook was improving for struggling social media company Snap Inc (NYSE:SNAP), investors got another reminder of just how small the company’s competitive moat is. What exactly does that mean? Twitter Stories is only months away from coming to market. And that is bad news for SNAP stock. Remember what happened when Facebook, Inc. (NASDAQ:FB) copied Snapchat’s core Stories feature and launched Instagram Stories? IG Stories stole Snapchat’s thunder and accelerated at the expense of SNAP. SNAP’s user growth started to flatline, and revenue growth rapidly decelerated. Advertisers flocked from Snapchat to Instagram. The whole growth narrative came unhinged. SNAP stock fell from $27 to $13. What will happen this time around when Twitter launches its own Stories feature? Nothing good for SNAP stock. First, it is important to note we don’t have any confirmation that Twitter is outright developing Twitter Stories. All we know from the Bloomberg report is that Twitter is working on a Snapchat-style camera feature. But that wording strongly implies that Twitter is taking a page out of the Facebook playbook and will launch something very similar to Stories over the next several months. And why wouldn’t it? Facebook launched Instagram Stories to great success. Thanks to Instagram’s already large user base, IG Stories is now almost twice as large as Snapchat. Twitter could likely find the same success on a smaller scale. Second, Twitter’s push into visual content sharing further commoditizes Snapchat’s core offering and underscores that there is nothing that truly differentiates SNAP, a platform where everything disappears after 24 hours. Facebook has the 2-billion user moat. It’s so big that it’s essentially built into the fabric of the internet. Instagram has the non-ephemeral photo storage moat, plus the 800 million users. It’s the biggest place on the internet where people store, like, and comment on each other’s photos. Twitter has the quick sentiment moat. It’s the best place on the internet to react quickly and succinctly to real-time happenings. But what does Snap have? What comprises the Snap moat? It’s certainly not Stories. Everyone is copying that and with great success (it gets swept under the rug a lot, but WhatsApp Status has 300 million daily active users). Is it the ephemeral messaging? Maybe. But anyone can also replicate that. What about the media content? Again, maybe. But Twitter is actually highly levered to deliver a very similar visual media product given that 74% of its users already read the news on Twitter (versus 29% for Snapchat). Again, what comprises the SNAP moat? I can’t really point to much that isn’t easily replicated at greater scale by a larger, more adept player. Third, nothing good will happen over the next 12 months to Snapchat as Twitter unveils a Stories-like feature. It will be exactly what happened when IG Stories rolled out. User growth at Snapchat will slow. Advertisers will leave Snapchat for Twitter (they won’t leave IG because they already prefer IG). Revenue growth will come down rapidly, and losses will continue to widen. And SNAP stock will fall. 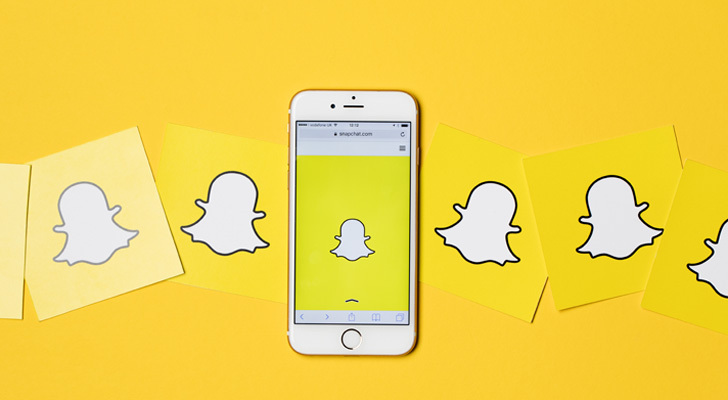 I became slightly less bearish on SNAP stock after the company somewhat admitted it wasn’t going to take over the social media world and agreed to start distributing content through Facebook, Twitter and others. But now that the company’s core feature is being further commoditized by Twitter, I don’t see much hope for this struggling stock. Plus, Amazon.com, Inc. (NASDAQ:AMZN) is making a huge digital ad push this year, so the timing couldn’t be worse. User growth, revenue growth and earnings growth prospects over the next 12 months are quite bleak with more competition entering the market. But SNAP stock still trades at a rich valuation. Consequently, the chances of this stock going higher from here are quite slim. Article printed from InvestorPlace Media, https://investorplace.com/2018/01/twitter-stories-is-coming-and-thats-bad-for-snap-stock/.